While traveling in the Mid-West not too long ago, I enjoyed a visit to the Tall Grass Prairie National Preserve in the Flint Hills region of Kansas. When you hike through its beautiful open landscape, the limestone beneath the grass stands out as evidence of past climate change. Climate can shape the geology of a region in many ways. In this case, the freezing and thawing of glaciers affected the existence of an ocean that covered much of present-day Kansas and Oklahoma. Today’s vast “sea of grass” was once the bed of the Permian Sea. According to scientists, this shallow sea rose and fell numerous times during the Permian Period of the Paleozoic Era, about 251-299 million years ago. This ancient sea sustained an array of aquatic-life, including fish and plants. Just like today, these marine organisms took calcium carbonate out of the water to form their shells and skeletons. After they died, these prehistoric sea creatures fell to the ocean floor where their stored calcium carbonate accumulated to form limestone over time. These layers of sedimentary rock and the fossils they contain give us a much different view of America’s heartland than we are used to today. 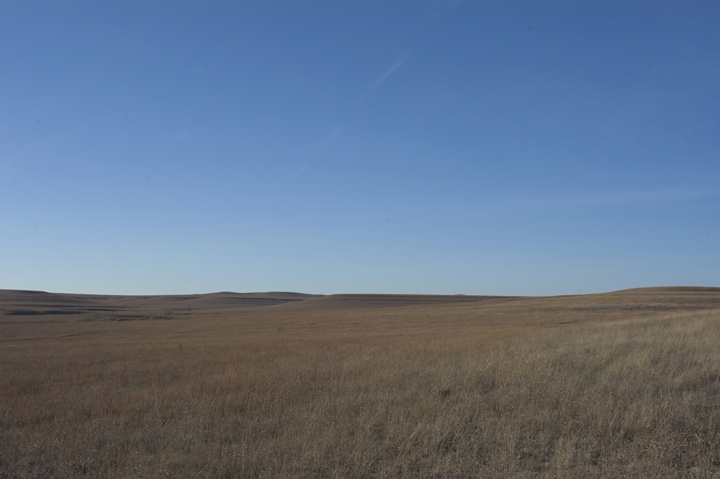 Open landscape at the Tall Grass Prairie National Preserve, Kansas. 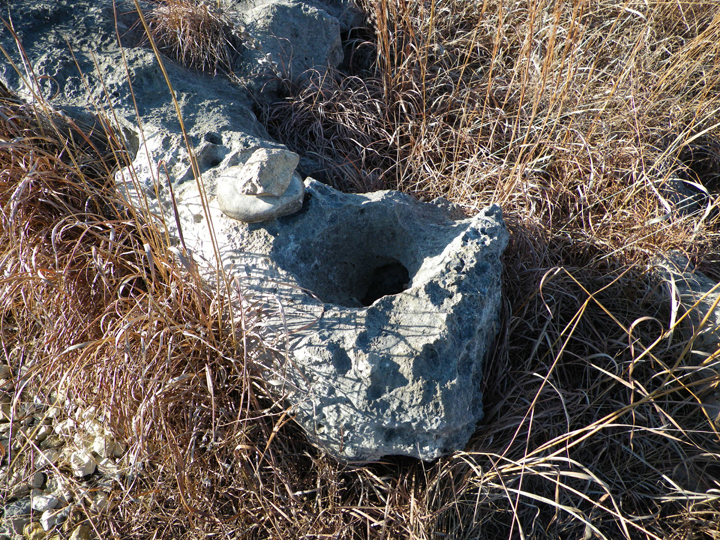 Limestone at Tall Grass Prairie National Preserve, Kansas.